Are you feeling stressed or overwhelmed as a result of the recent fires? Losing your home, belongings, or even being evacuated can be traumatic and distressing, to say the least. You are not alone, and we are here to help. Nevada County Behavioral Health, with support from the California Department of Healthcare Services and FEMA, has specially trained disaster response counselors available to assist Nevada County residents. If you need help finding resources, or you just want someone to talk to about what you are going through, you can call 211 or 1-844-319-4119, if dialing from a phone that is not in the (530) area code, to be connected with someone over the phone or in person. It can be easy to overlook your needs as you work to pick up the pieces, but know that we are here to help in any way we can. If you know of anyone who would benefit from confidential counseling services, please encourage them to call 211 to be connected to this valuable resource. Residents must bring their own shovel to fill the sandbags with sand. Sand bags are very limited, so we do request that residents only take what they plan to use for protection of their personal property. For road failures and trees down in the right of way during business hours call (530) 265-1411 and call 911 for any emergencies. An important reminder for storm preparedness is to monitor a forecasted severe weather event, by monitoring the local media or visiting online weather forecast services. For additional questions or comments, contact the OES at oes@co.nevada.ca.us or (530) 265-1515. Despite the recent rains, concerns over wildfire from the recent devastating wildfires in Nevada County, as well as those in Napa and Solano counties and throughout California, are still close to the community’s thoughts. Residents were reminded just how quickly things can get out of control, leaving folks with little or no time to evacuate. This has led to various community members and organizations holding meetings throughout Nevada County to discuss disaster preparedness and evacuation procedures. To help address emergency preparedness for the Alta Sierra Community, District 2 Supervisor, Ed Scofield, will be holding a community meeting at the Alta Sierra Country Club on Tuesday, November 21, 2017 from 4:00 p.m. to 5:30 p.m. to discuss crisis response efforts and evacuation preparedness. The forum will include a panel format discussion followed by questions and answers with speakers from CalFIRE, Fire Safe Council of Nevada County, Greater Alta Sierra Firewise Community, Nevada County Consolidated Fire District, Nevada County Office of Emergency Services, and the Nevada County Sheriff’s Office. 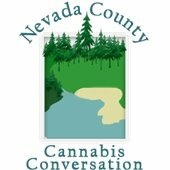 Community members are encouraged to submit questions by email ahead of time at oes@co.nevada.ca.us. Questions may also be submitted in person during the meeting. The Cannabis Regulation Community Advisory Group (CAG) has met nine (9) times over the last seven (7) months to discuss and develop recommendations for a revised Cannabis Ordinance. At the ninth meeting, MIG presented a summary to the CAG including several areas where a high level of agreement was developed as well as a summary of the CAG's input regarding land use parameters where cultivation and other cannabis businesses could be allowed. This review was the first step of developing the content for the report that MIG is require to provide to the Board of Supervisors per their consulting contract. At the ninth meeting, CAG members requested another meeting to review MIG's formatted report prior to its presentation to the Board of Supervisors. In reviewing the specific language in MIG's contract, and listening to the CAG's request, MIG and County staff are recommending a final tenth (10) meeting be scheduled for the CAG to have a second and final review of the report content. Both MIG and the Foothills Events Center are available on December 19th, therefore, a contract amendment will be brought to the Board at the December 12th meeting to add this tenth CAG meeting to MIG's contract. The scope of changes to the current ordinance, as recommended by the CAG, and subsequent environmental review (CEQA) requirements. (Depending on the extent the Board of Supervisors directs staff to implement the CAG's recommendations). Following MIG's report on January 9th, County staff will request Board direction regarding which recommendations to include in drafting the new ordinance. Factors such as allowing commercial activities, cultivation size, setbacks and zoning will determine the level of environmental review (CEQA) that will be required for the new ordinance. Most likely, a consultant will need to be contracted with in order to complete the environmental review as efficiently as possible. These decision points will determine the timeline for the new ordinance implementation. For more information please contact the Community Development Agency Director Sean Powers at sean.powers@co.nevada.ca.us or (530) 265-1576. On November 15, 2017, representatives from 15 congregations, along with nonprofit service providers and community advocates, gathered to discuss interfaith actions to address homelessness and housing in Nevada county. This second meeting of the interfaith group had a significant increase in attendance and excitement from the first meeting. Supervisor Heidi Hall and Nevada County Housing Resource Program Manager, Brendan Phillips, participated in the event. The group discussed a variety of options for interfaith activity around homelessness and zeroed in on three areas of focus: (1) instituting a nomadic model for families; (2) developing a stronger interfaith political advocacy effort; and (3) exploring options for providing cold weather shelter. Three working groups were formed to further examine each focus area and the group also discussed the possibility of operating a day center. These areas of focus represent short, mid-range and long term strategies for interfaith responses to homelessness and housing. The idea to create a family nomadic shelter model, titled "The Family Circle" garnered unanimous support. Representatives from Hospitality House shelter explained that creating a separate shelter program for families would free up shelter capacity for individuals and provide a better environment for families with children. Representatives from Salvation Army who run a family shelter (The Booth Center) explained that their operation continues to have a lengthy waitlist for spots at the shelter. They voiced support for this model as a way to provide more families with temporary shelter, while they either wait for a room at the Booth Center or engage with services to secure permanent housing. Others voiced support to increase political advocacy for funding, programs, and developing stronger ties to existing services and community-based initiatives. As a long term effort, a separate workgroup discussed the idea of a joint, faith-based response to promote housing, and educate advocates on homelessness and housing initiatives for support in public forums and meetings. Lastly, the group discussed the possibility of participating in cold weather sheltering during the winter and/or opening a day center where individuals experiencing homelessness could be engaged in both faith-based community programs and by other services offered in the county. The workgroups for each of these areas of focus will meet separately and return to the larger group at the next meeting scheduled for mid-January (date to be determined). The interfaith summit on homelessness and housing is picking up steam and is poised to make a significant contribution to tackling the issues of homelessness in Nevada County. Supporting these issues is nothing new for this group, having supported Hospitality house through its many years as a nomadic shelter and continuing to support the shelter by providing meals and donations. The group continues to grow and develop the communication and action infrastructure able to connect different faith communities and coordinate responses. This summit represents a re-constitution and continuation of energy and coordination aimed at truly supporting a community-based and collaborative effort to end homelessness in Nevada County. For further information contact Brendan Phillips at (530) 265-1725. On Tuesday, November 14th, the Board of Supervisors voted to terminate the Local Emergency Proclamation due to tree mortality upon staff recommendation. Nevada County experienced record drought conditions over a period of five years. The drought stressed trees to a point where they became susceptible to bark beetle infestations, causing vast tree mortality throughout many areas of the County. Bark beetle infestations created a public hazard impacting citizens, public and private infrastructure, and resulted in a severe threat of wildfire due to extreme levels of combustible fuels. On September 13th, 2016, a Local Emergency was proclaimed in Nevada County. Since then, the Local Emergency Proclamation due to tree mortality has been reviewed and continued every 30 days until the proclamation was terminated on Tuesday. With the collective rains from early this year and looking forward as we head into our winter season, the Office of Emergency Services deems the current tree mortality conditions as within the control of the normal protective services, personnel, equipment, and facilities within Nevada County. During the month of October and early November, Nevada County employees participate in a campaign for United Way of Nevada County, a local non-profit that works with over 15 community partners, programs, and agencies to help fill the gap in food, emergency shelter, and access to healthcare locally. Employees can choose to give to any non-profit of their choice through payroll pledging. Employee's fundraise through payroll pledging, one-time donations, department raffle baskets, bake sales, and several book sales. Year to date, staff has raised over $17,000 toward the United Way of Nevada County campaign. The United Way of Nevada County strives to assure that individuals and families in Nevada County are able to meet their basic needs by mobilizing the caring power of the community. "Nevada County employees have always been a strong supporter of the United Way . Their devotion and commitment to our local community is very much appreciated. The Nevada County Book Fair has become a highly anticipated community event by locals in Nevada County. It is by far one of the largest campaign fundraisers for the United Way. A big thanks goes out to everyone involved," says Megan Timpany, Executive Director of United Way. 2017 marks the 22nd year that the Rood Center has hosted a Book Fair to support United Way. This year, book sales raised over $4,500, employees donated over $10,000 in payroll pledges and one-time donations, and over $2,000 has been raised in raffle ticket sales for department baskets and bake sales. All the proceeds from this campaign will go back into the local community, unless an employee chooses to pledge to a non-profit outside of the area.